Morgan Stanley’s divergence from Goldman Sachs’ strategy is starting to pay off. James Gorman’s firm had its best quarter in years in the three months to March. Its Wall Street arch-rival still has the edge on earnings performance. By one key metric, though, investors value Morgan Stanley more highly. The investment bank’s shares now trade at some 1.3 times tangible book value, compared to 1.25 times at Lloyd Blankfein’s Goldman. It’s a modest difference – and Goldman still bests Morgan Stanley on a price-to-reported book value basis. But it’s notable all the same. Based on the raw numbers, Goldman ought to command a higher multiple all round. It has been one of the best performers among the largest U.S. banks while bringing expenses down. This year’s first quarter was a case in point. Gorman should feel relieved, and a tad proud, that Morgan Stanley has managed to get its return on equity into double digits, achieving 10.1 percent on an annualized basis after stripping out a tax break. All businesses contributed to that, as did some decent expense control that kept compensation at the investment banking division to 38 percent of revenue. Goldman, though, cranked out an annualized ROE of 14.7 percent. It also grew its tangible book value by 9.7 percent since March last year, faster than Morgan Stanley’s 5.5 percent. This expansion can be a good proxy for the health of a bank’s overall business assuming assets are properly accounted for – as should be the case, with crisis memories still vivid. One explanation for Gorman’s crew edging ahead on valuation is Morgan Stanley’s business mix. Only around two-fifths of revenue comes from trading, compared with up to 70 percent at Goldman, including its investing and lending unit. These earnings tend to be volatile. Wealth management, meanwhile, which Gorman has grown into a bigger part of his firm’s top line, is more stable and requires less capital. At least in theory, steadier profit is worth more. Morgan Stanley may also be able to cut its funding costs, partly by refinancing costlier debt as it comes due. And it has more bank deposits than Goldman to deploy profitably. Gorman needs to show that his firm can keep it up, but he’s finally giving investors something to get excited about. 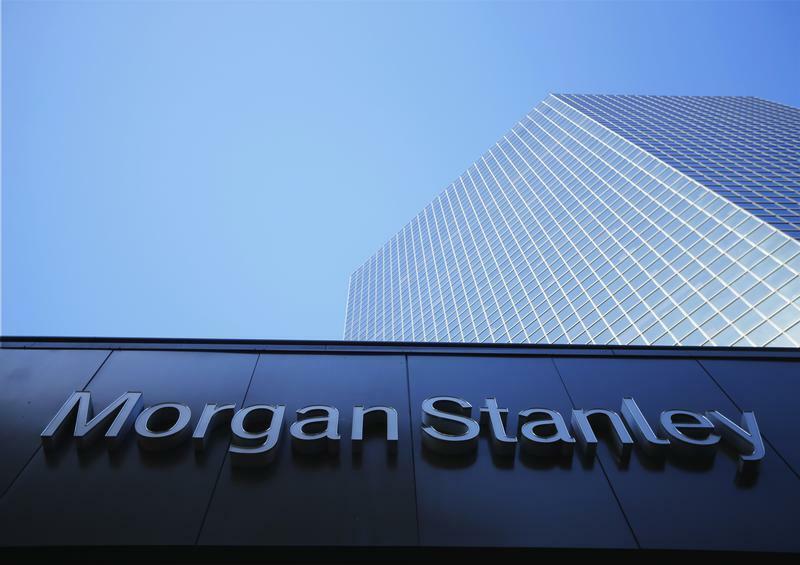 Morgan Stanley on April 20 reported first-quarter net income of $2.4 billion on $9.9 billion of revenue, respectively 59 percent and 10 percent higher than in the first quarter of 2014. The Wall Street firm’s annualized return on equity was 14.2 percent. Earnings were helped by a $564 million tax benefit stemming from repatriating non-U.S. earnings at a lower cost than initially expected after restructuring the company’s UK operations. The bank also reported a $125 million gain from changes in the value of its own liabilities. Excluding these items, earnings per share were 85 cents compared with the consensus estimate of sell-side analysts of 78 cents a share, according to Thomson Reuters I/B/E/S.